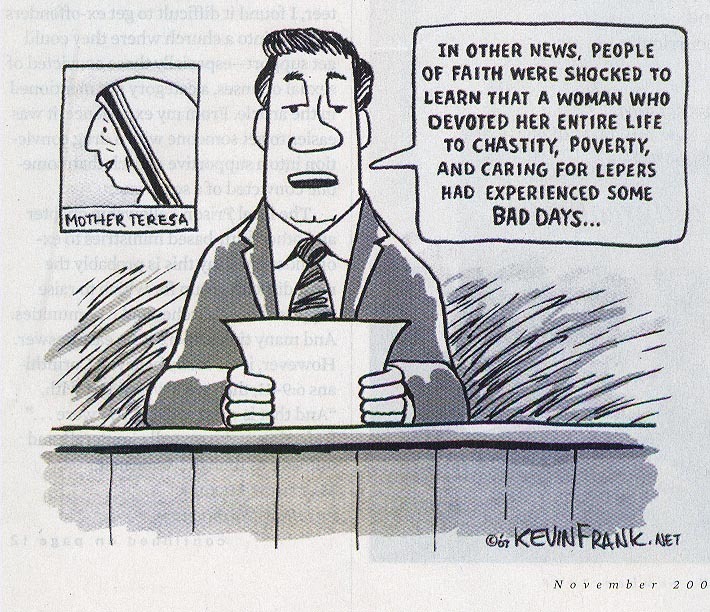 Mother Teresa had Bad Days? The World is Shocked! As seen in Christianity Today Magazine, November 2007 issue. For my earlier blog on Mother Teresa, click here. Interesting segment on 20/20. Worth a watch for those interested in the big hoopla on Global Warming. Click here. Bad humans! Bad, bad humans!